We have lived in our home for almost 3 years and I am finally getting around to putting up curtains in some of our rooms! We've had curtains in the living room and the bedrooms since we moved in but none in the kitchen or dining rooms. So I decided it was about time to get some curtains up and figured it would be good to have some extra privacy when the baby comes. 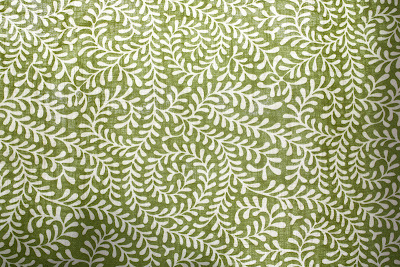 After searching the internet for different fabric options I fell in love with a pattern from Annie Selke called "Scramble". I found a couple of remnants on Ebay in a blue called "bluemarine" and a lime green called "citrus". I decided on the citrus as it was very similar to the wall color of our dining room so it could work to tie the color scheme of the two rooms together. And it just so happened the remnant was large enough to cover our kitchen windows! 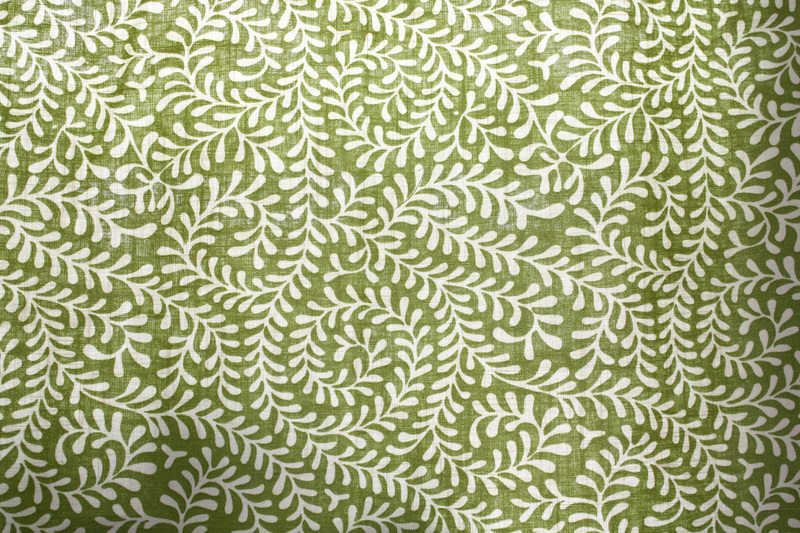 Here's a picture of the fabric, isn't it nice? I love the swirling vine pattern and the textured, woven look of the linen fabric. 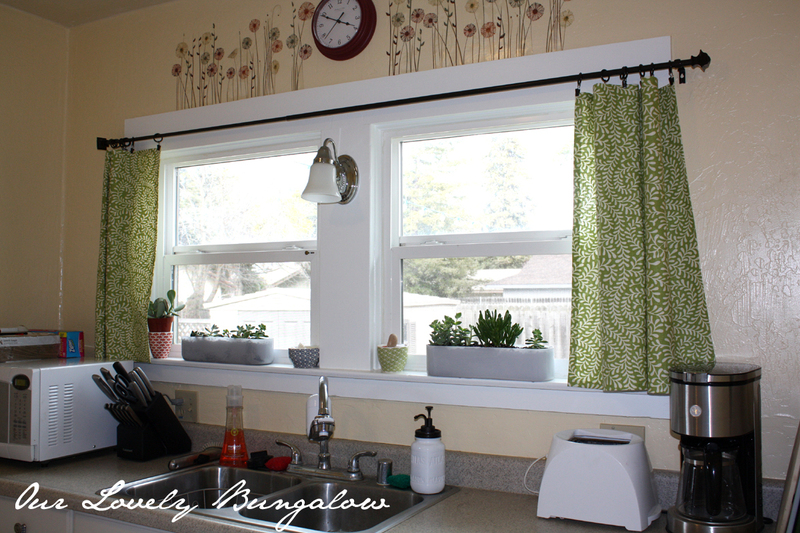 I first measured the fabric to fit the kitchen windows, making sure to account for seams. I used my handy-dandy no-sew tape from Joann's to make the seams as previously mentioned here. 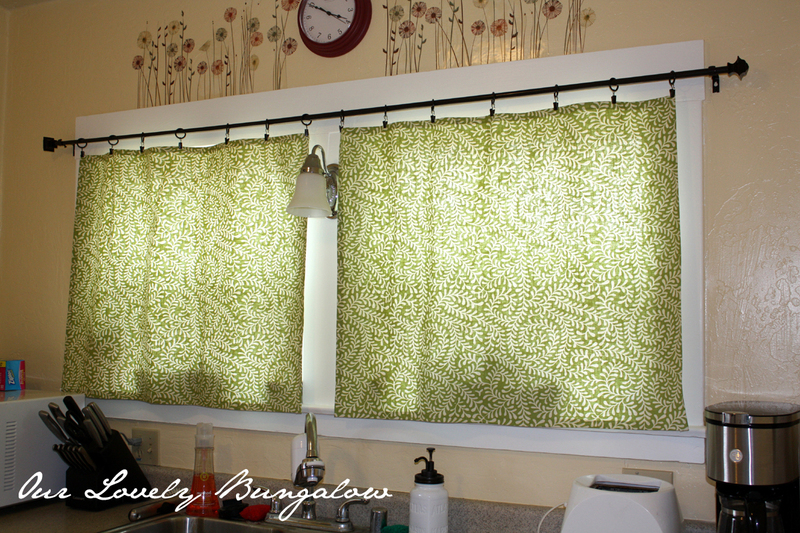 I decided to hang the curtains with a curtain rod, rather than do something like roman shades for the kitchen, 1) because that's a lot easier! and 2) since we have plants on the window sill I thought it might be a hassle closing shades every night. 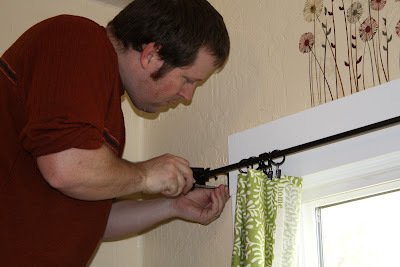 So I bought a curtain rod and curtain rings with clips from Target in an oil-rubbed bronze finish. Brian helped me with hanging the curtain rod as I made sure things were level and decided where I wanted the curtains to hang to. And here we have the new curtains! I really love the pop of color they add to the kitchen and I'm so glad I can finally cross kitchen curtains off my to-do list! 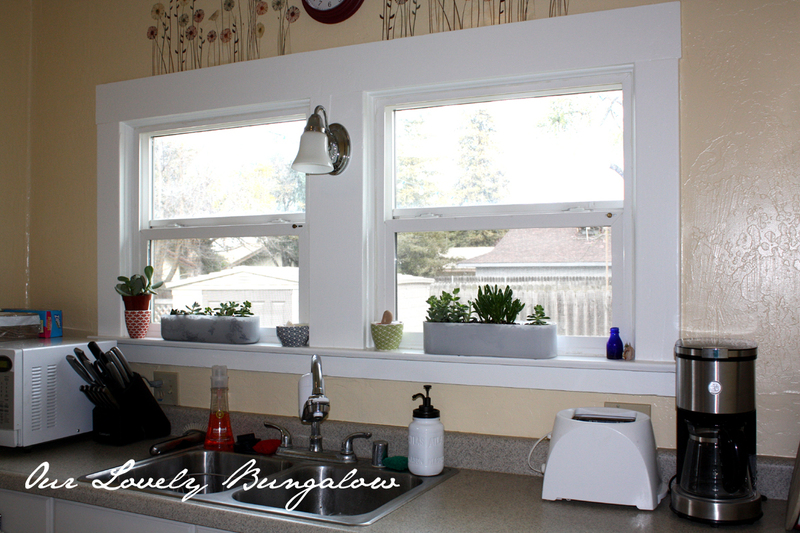 The design above your windows is adorable! Did you stencil it? Thanks! It's actually a wall sticker we found at Target a year or so ago. Thanks for stopping by my blog! 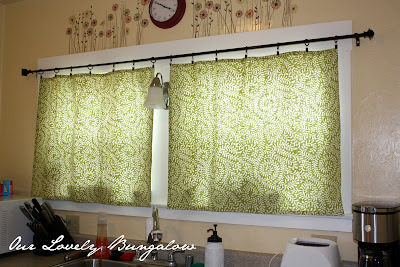 How fantastic....you turned out it beautiful...Best treatment for kitchen.